Asheville, NC. Organic Growers School continues to reinforce its reputation of offering down-to-earth education, while remaining affordable and accessible, by hosting Sandor Ellix Katz in a day-long ‘Art of Fermentation’ workshop on September 9, 2016, from 9:30 to 4:30 at Warren Wilson College in Swannanoa, NC. 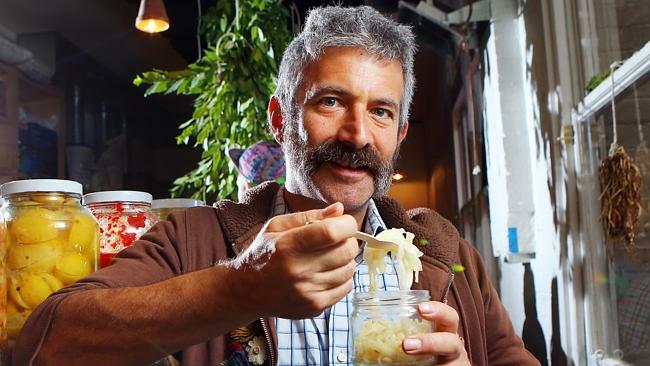 Katz, award-winning author of books Wild Fermentation (2003) and the Art of Fermentation (2012), is a ‘fermentation revivalist’ who has helped catalyze an international revival of the fermentation arts, by teaching hundreds of fermentation workshops around the world. The ‘Art of Fermentation’ workshop is being offered as a Pre-conference event, part of the 3rd Annual Harvest Conference hosted by Organic Growers School. The cost of the all-day workshop is $80. Sandor Katz is also offering a one and a half hour workshop titled “Ferments Q&A” as part of the Harvest Conference, taking place on September 10th, at AB Tech in downtown Asheville, NC. Registration for that event, which includes four time-slots, and seven tracks of classes with local and regional experts, is $45. 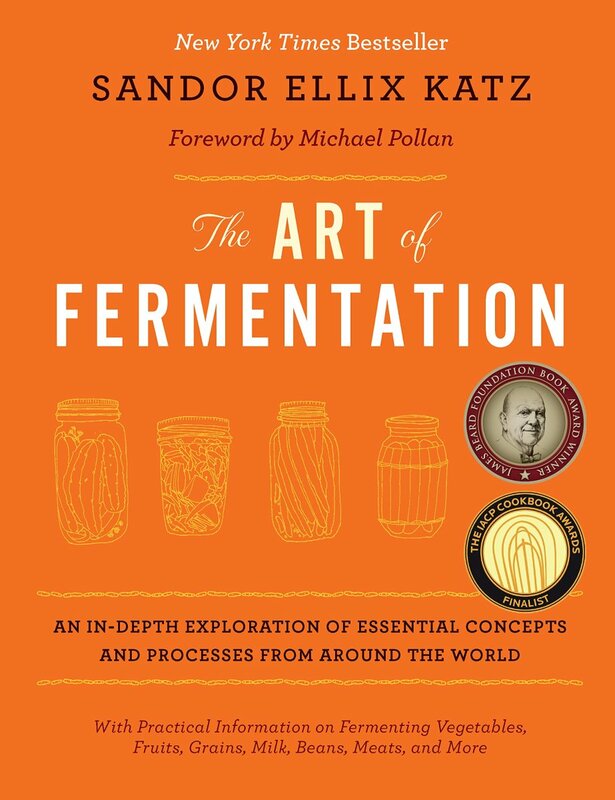 The ‘Art of Fermentation’ workshop is discovery of the history, concepts, values, and processes of fermentation, based on the book of the same title, which was a New York Times bestseller, and won a 2013 James Beard Foundation Book Award for Reference and Scholarship. The workshop is a comprehensive presentation of do-it-yourself home ferments where students learn to preserve and enhance the health benefits of vegetables by making their own kraut, kimchi, and other fermented delicacies. The techniques offered are simple enough to guide students through their first experience and in-depth enough to provide greater understanding and insight for experienced practitioners. The one and a half hour Saturday session, taught by Katz, and entitled “Ferments Q&A,” is part of the 3rd Annual Harvest Conference program which features 28 workshops in 7 tracks with a focus on Fall & Winter Growing, Cooking, Fermentation & Preservation, Homestead Skills, Self-Reliance, Herbal Medicine, and Wild Ideas. All organically. The “Ferments Q&A” is an open session to informally discuss anything fermentation-related. Students are encouraged to bring questions and issues about aspects of fermentation that they wish to clarify and are also encouraged to share their fermentation projects, both failures as well as successes. Sandar Katz is a self-taught fermentation experimentalist and an activist for food, economics, and health. Katz sees fermentation as the centerpiece of economic revival and urges us to consider that “Relocalizing food means a renewal not only of agriculture but also of the processes used to transform and preserve the products of agriculture into the things that people eat and drink every day, including ferments such as bread, cheese, and beer.” Sandor feels strongly about encouraging folks to ferment in their homes and communities and by using these ancient, simple, and profound techniques in order to “reclaim food and with it a broad web of connections.” With more than a dozen years of experience, Sandor offers the unique ability to mentor, encourage, and inspire others towards exploration and experimentation. Signed copies of Sandor’s books, published by Chelsea Green, will be available at the Harvest Conference exhibit hall in Ferguson Auditorium at AB Tech, downtown Asheville, through Firestorm Books & Café. The Harvest Conference is organized annually by Organic Growers School, a 501(c)3 non-profit. OGS is the premiere provider of practical and affordable organic education in the Southern Appalachians, building a vibrant food & farming community by boosting the success of organic home growers and farmers in our region. Since 1993, the OGS hands-on training, workshops, conferences and partnerships strengthen and celebrate each grower’s move towards self-reliance. OGS pride themselves on offering down-to-earth advice on growing and sustainable living, while remaining affordable and accessible. Organic Growers School has served to reinforce Western North Carolina’s role as a regional leader in organic farming. The Harvest Conference is the long-awaited and much-requested fall event.